Facebook revolutionized the way people communicate, and now they’re revolutionizing the way that growth-oriented companies go about their office space too. This office is no small brick-and-mortar, $50/square foot tenant improvement project though. It’s part city, part museum, and part tech hub. Designed by Frank Gehry, it’s one of the coolest offices ever built. 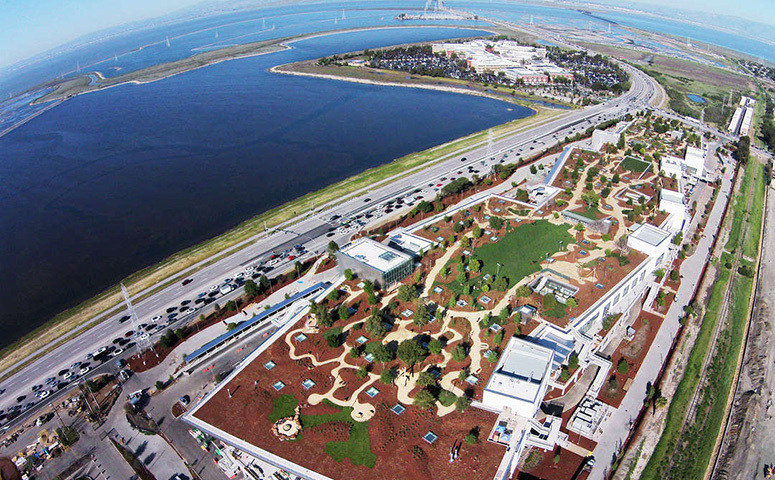 Facebook’s sprawling new space might not be feasible to recreate for most office tenants, but there are key elements you can borrow to make even your everyday, high-rise, “building standard” build-out very special.